The Dyson DC25 Animal Ball Vacuum is Dyson's top contender for "Best Vacuum for Pet Hair." It is their largest pet hair vacuum with their signature Ball technology. Ball Technology - Dyson's Ball technology incorporates the vacuums parts into a ball used to navigate the vacuum. The ball navigation is a wonderful feature. Since the motor is housed inside the ball the vacuum's center of gravity is much lower than a standard vac. The ball makes navigation so easy that you can easily vacuum up pet hair under tables and between obstacles. Matter of fact, you can actually navigate the Dyson DC25 Animal with one hand! 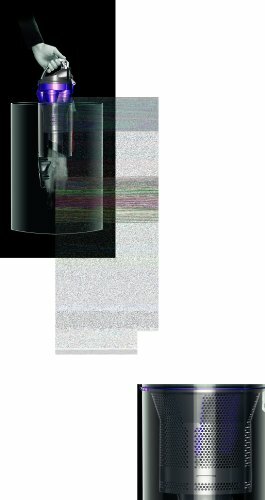 Massive Suction - The Dyson DC25 Animal uses Dyson's patented Root Cyclone Technology to generate a constant Air Watts of 220. Having the Root Cyclone technology means that the DC25 is a bagless animal vacuum that doesn't lose suction power. You can vacuum pet hair all day long with this thing and never lose suction. Large Capacity - If you have a large home and a lot of pets you don't want to be emptying out your vacuum every 5 minutes. The Dyson DC25 Animal has a large, clear (good for seeing how full it is) dust compartment that is 0.31 gallons. That is much larger than some other animal vacuums. The dust bin can be cleaned by holding the bin over a trash can and pressing a single button. The bottom opens up and the pet hair falls out. Motorized Brush Bar - You can't very well vacuum up pet hair if it stays stuck to the carpet. 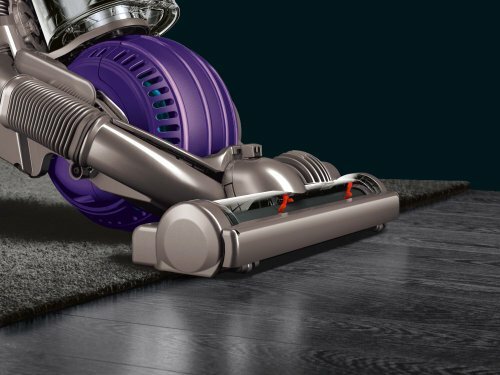 The Dyson DC 25 Animal incorporates a powerful motorized brush bar to agitate carpet to free the pet hair. The brush bar can be turned off with the fingertip controls for use on hard floors. HEPA Filter Vacuum - The Dyson DC25 Animal is a certified asthma friendly pet hair vacuum that has a LIFETIME, washable HEPA filter. The HEPA filter removes microscopic allergens and fills your room with clean air. Telescoping Wand - The telescoping wand on this vac. is really nice. It can extend high over head for vacuuming in ceiling corners. It is great for vacuuming up pet hair in those hard to reach crevices. 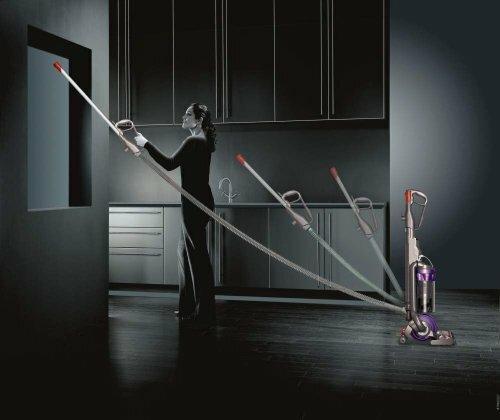 With the Wand extended this vacuum has a total reach of over 40 feet! Mini Turbine Head - This feature is nice in theory, but not perfect in implementation. The mini turbine head, is an attachment for the telescoping wand. The "turbine" portion is powered by the vacuum suction, so you are losing some suction to power the turbine. It works well on stairs and such, until you have any amount of pet hair wrapped around it, so you have to clean it often as you work the stairs. 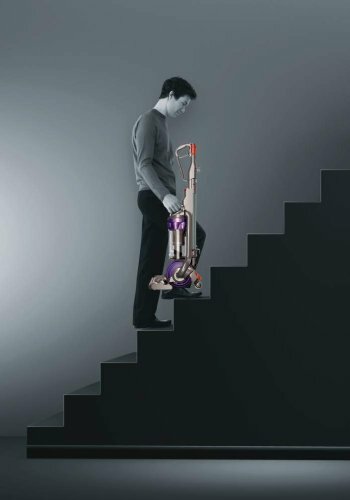 Other Features - The Dyson DC25 Animal has the standard multipurpose hand tool, which is merely adequate for small, short carpet surfaces. It has a very long cord at nearly 25 feet. Overall we are very impressed by the Dyson DC25 Animal Vacuum. It has amazing suction and a large dust bin capacity. The warranty is solid at 5 years and the vacuum is very maneuverable. The mini turbine head is adequate, but not the best feature of this pet hair vacuum. The dust bin has a very large capacity and is easy to empty. With the life time, washable HEPA filter the Dyson 25 Animal is one of our top picks for Best Vacuum for Pet Hair. If You Enjoyed Our Dyson DC25 Animal Review Please Share it With Your Social Networks!